← More math fun: perimeters, game totals and the lines on the basketball! 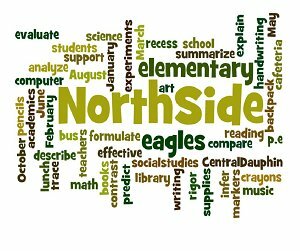 Thank you and congratulations to North Side Elementary! They won a $50 VISA gift certificate for their own Final Four party. Here are the remaining math problems their 4th grade students submitted to our March Mathness Contest. Michigan won 19 games and West Virginia won 28 games. How many more games did West Virginia win than Michigan? Arizona scored 50 points this season and scored 35 points last season. How many points have they earned altogether in the last 2 seasons? Villanova had 48 points, then they scored 18 more points. How many points do they have now? Cincinnati has 720 points in the season. If 5 players scored these points. How many points on average did each player score? Cincinnati got their jersey orders in. If 6 players got foot and a half long jerseys and each foot costs $75.00. How much did their jerseys cost all together? This entry was posted in Uncategorized and tagged march madness, math problems, Northside Elementary. Bookmark the permalink.